“Remember our Past and Fight for the Future” – the annual Silk Mill Turnout event. The day’s events commemorate the historic 1833/34 Silk Mill strike for fairness at work, which led to the formation of the whole Trade Union movement in Britain – and the world! Meeting in Derby Market Place at 10 am, the marchers will be led off by a very colourful, loud and energetic Bhangra dance troupe who will perform along the way to Cathedral Green. 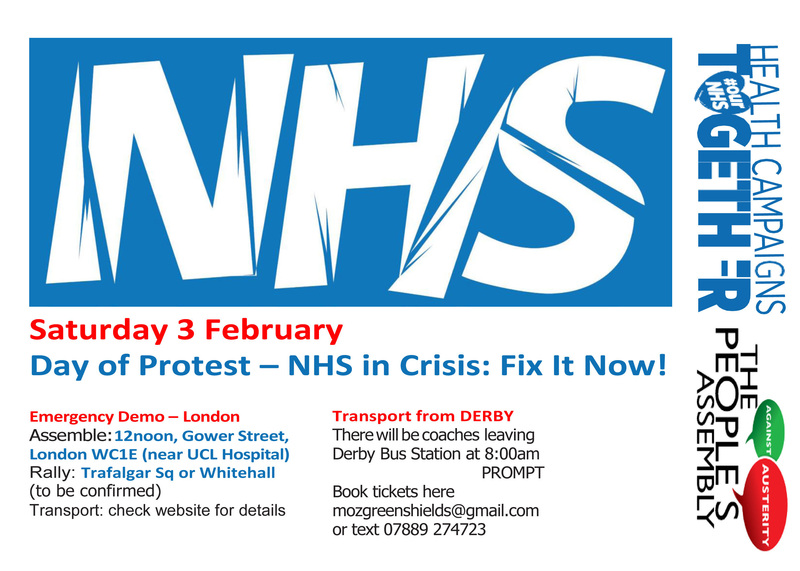 At each end of the march there will be rousing speeches from Moz Greenshields, Secretary of Derby Trades Union Council, Chris Williamson MP, Doug Nicholls General Secretary of the General Federation of Trades Unions, Sally Asquith of People’ Assembly and Dr Sally Ruane of Health Campaigns Together. So to celebrate Derby’s historic role in developing the Trade Union movement, to “remember the past and fight for the future”, and for a fantastic day out for all the family ABSOLUTELY FREE, make sure you are there! This entry was posted in Austerity in UK, Conservatives, Defend NHS, Derby, Derby Climate Coalition, Derby County, Derby International Women's Day, Derby Labour City Council, Derby People's Asembly, Derby Trades Council, Derbyshire Firefighters, Fight the Cuts, Inequality, LibDems Quislings, Save the NHS, SILK MILL TURN OUT, Solidarity, The People's Assembly Derby, X Conservative Party Paymasters and tagged Conservative Party Vampire Squids, Derby, DERBY FESTIVAL SILK MILL, Derby People's Assembly, Derby People’s Assembly against Austerity, DERBYSHIRE, Fight the Cuts, KEEP OUR NHS PUBLIC, NHS SOS, Silk Mill, SILK MILL TURN OUT, Solidarity, STOP PRIVATISATION OF THE NHS DERBY. Transport has been arraigned from across the country – for more details click here. This entry was posted in Austerity in UK, Conservatives, Defend NHS, Fight the Cuts, Inequality, LibDems Quislings, Save the NHS, Solidarity, The People's Assembly Derby, X Conservative Party Paymasters and tagged Conservative Party Paymasters, Conservative Party Vampire Squids, Derby, Derby People's Assembly, Derby People’s Assembly against Austerity, DERBYSHIRE, Fight Austerity, KEEP OUR NHS PUBLIC, Trade Unions.